Metropolitan Mor Anthonios Yaqu'b was born on 12th July 1952 as the fourth son of late Mr. K.C John and Mrs Eliyamma John, Plamthottathil House, in the small village of Kalamboor near Piravom in Ernakulam District, Kerala. His father (ancestors family) was member of St. George’s Jacobite Syrian Church, Kalamboor (Kandanad Diocese). His mother was from the Maliekal family, Pravom (sister of Maliekal Vaidyan) - were members of St. Mary’s Valiyapally Piravam ( Kandanad Diocese). His mother was the grand daughter of the sister of late lamented Saint Paulose Mor Koorilos (Panampady Thiumeni) and also close relatives of late lamented Dr. Thomas Mor Osthatheos, (Pachilakkattu) Metropolitan. In 1959, his parents along with the relatives migrated to Kullanki Village in Kundapur Taluk, Udipi, Karnataka. His family took the initiative to build a new Church at Athyady along with the other seven Jaconbite familes, which has turned up to 100 families. The Metropolitan had his primary Education at the Byndoor Govt. School and Honnavar Mission School and Pre-Univeristy from Buttercartas College Kundapur. In the early childhood itself he was fascinated by the Holy Fathers and Saints and was keen on the religious and Church activities. During 1975-1979 the Metropolitan completed his Seminary Course from the Malecruz Dayro, Puthencruz, Kerala and Syriac studies under Rev. Joseph Sir ( presently Very. Rev. Phinehas Remban), late lamented H.G. 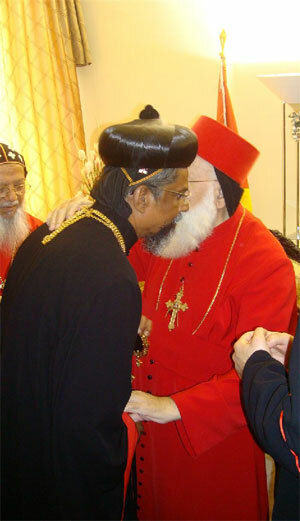 Dr. Paulose Mor Athanasius Metropolitan (Kadavil Thirumeni II), H.G. Yakob Mor Themothios Metropolitan (Thrikkothamangalam), Rev. Fr. R. V Markose (late H.G. Markose Mor Koorilos Metropolitan) and Very. Rev. Skariya Cor-Episcopa. On 3rd February 1977 the late lamented Dr. Thomas Mor Osthatheos Metropolitan (his maternal uncle) ordained young Jacob a Korooyo at Malecruz Dayro Church and got ordained as ‘Samsono’ (full deacon) on 23rd February 1979 by late lamented Catholicose H.B. Aboon Mor Baselios Paulose II, at Moovattupuzha Catholicate Cathedral. On 11th May 1979, the late lamented Catholicose H.B. Aboon Mor Baselios Paulose II ordained him a Kassisso (priest), at the St. Mary’s Jacobite Syriuan Church, Athyady, Karnataka. In the meanwhile he acquired M.A Sociology from Mysore University. He got ordained as Cor-Episcopo on 18th February 2003 by H.G. Geevargese Mor Polycarpus Metropolitan, at the St. Mary’s Soonoro Jacobite Syrian Church, Renjilady and was since then known as Very Rev. P. J. Jacob Cor Episcopa. The Metropolitan has served as the Manger of St. Antony’s Mission & Educational Society from 1996 to 1999. He is continuing as Manger from 2002 onwards. He is also serving as manger of St. George's PUC College, Nellyady, St. Antony’s, Udane, Jeppu St. Antony’s , Honnavar Higher Elementary School, Davengere Higher Primary school and the Director of St. Antony’s Orphanage, Honnavar, Brahmavar, Melegre’s church, Snehalaya old-age Home, Brahmavar Afa-Omega Retreat Centre. He was Managing Committee member of the Evangelistic Association of the East for a long time. He served as Vicar in the St. Peter’s & Paul’s Church in Shirady, St. Mary’s Soonoro Church in Renjilady, St. Thomas Church in Nelliady, St. George’s Church in Shibaje, St. Simmon’s Church in Ichilampady, St.Mary’s Church in Kunthoor, Karnataka under the Evangelistic Association of the East and St. Antony’s Church in Jeppu, Mangalore, St. Milagre’s Church in Brahmavar, St. George’s Church in Madhyody, St. Antony’s Church in Honnavar and St. Mary’s Church in Athyady under Honnavar Mission. On 20th August 2009, the Very Rev. 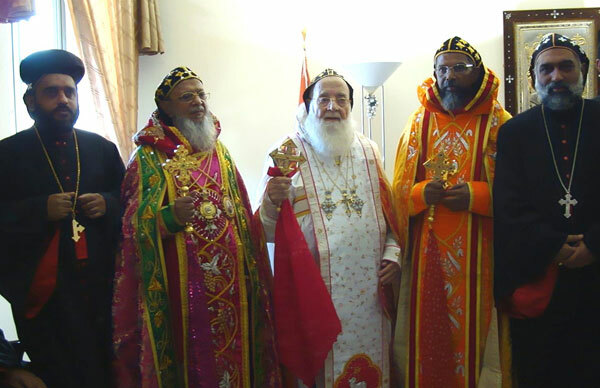 P. J.Jacob Cor Episcopa was ordained a Raban (monk) by H.E Mor Philoxinos Mattiyas Nayis, the Patriarchal Assistant, assisted by H.E Mor Dionnasios Behanam Jajavi, H.G Dr. Mor Gregorios Joseph (Metropolitan of Diocese of Kochi & Secretary to the Holy Episcopal Synod in Malankara) and H.G Mor Yulios Kuriakose (Metropolitan of Simhasana Churches & Institutions in Malankara). Final consummation service of ordination was blessed by H.H The Patriarch. 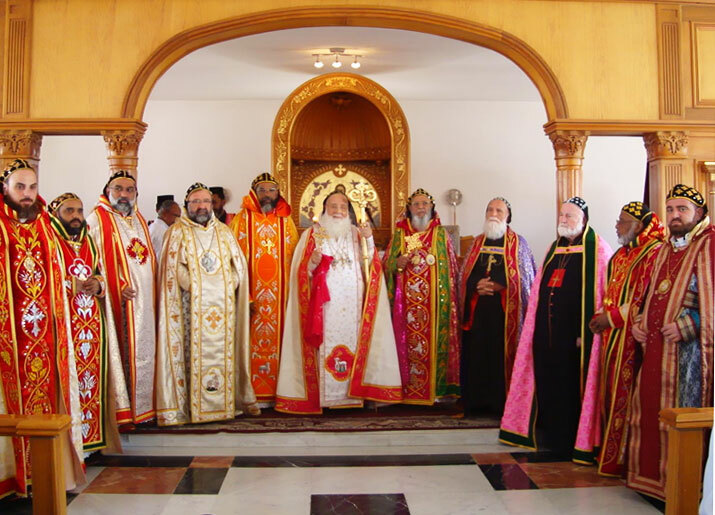 On August 23rd, 2009 in a divine ceremony held at the St. Peter's & St. Paul's Cathedral in the Monastery of St. Aphrem the Syrian, Ma`rrat Sayyidnaya, Damascus, His Holiness Ignatius Zakka-I Iwas, the Patriarch of Antioch & all the East and the Supreme head of the Universal Syrian Orthodox Church, ordained Very. Rev. 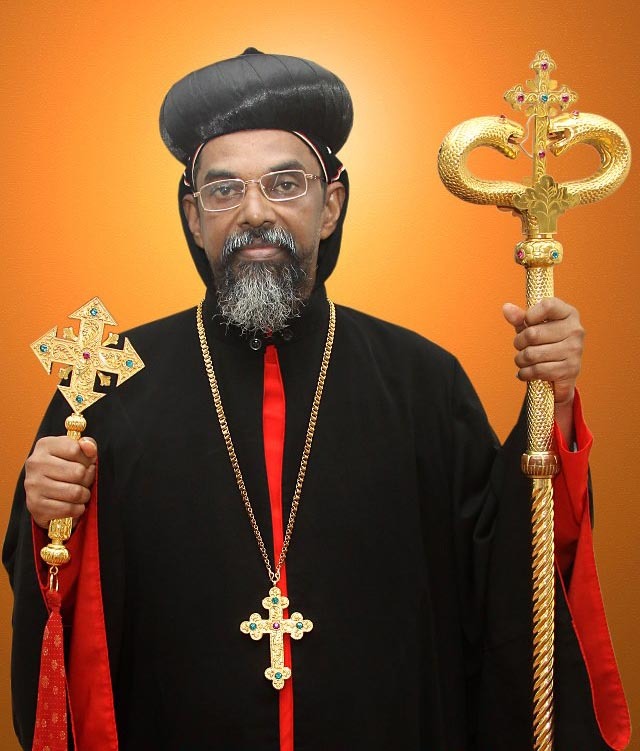 Yaq'ub Ramban from IndiaAuxiliary Metropolitan, by name Mor Anthonios Yaqu'b, for the St. Antony's Mission in Honnavar under the Evangelical Association of the East. 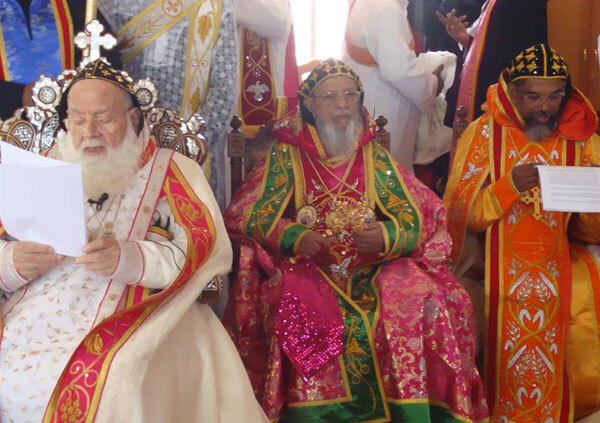 The Catholicos His Beatitude Aboon Mor Baselious Thomas I, Their Eminences Mor Philoxinos Mattiyas Nayis (the Patriarchal Assistant), Mor Dionnasios Behanam Jajavi (Retired), Mor Severius Ishak Zaka (Metropolitan of St. Aphrem Seminary, Mosul), Mor Gregorios Yohanna Ibrahim (Archbishop of Aleppo & Environs), Mor Selwanos Petros AL-nemeh (Metropolitan of Homs & Hama), Mor Yulios Kuriakose (Senior Metropolitan of the Simhasana churches & Institutions in India, Mor Gregorios Joseph (Metropolitan of Kochi Diocese & Malankara Episcopal Synod Secretary) and Mor Aphrem Mathews (Auxiliary Metropolitan of Angmali-High Range Diocese and Metropolitan of UAE) attended and assisted His Holiness at this blessed consecration ceremony. The solemn function was also attended by a large gathering of Rabans (Monks), Priests, Deacons, Nuns, the Syrian Orthodox Faithful and other Distinguished Guests from Syria, India and Syriac Orthodox Faithful from Malankara. His Grace on ordination was given the responsibility of St. Antony's Mission, Honnavar as the Auxiliary Metropolitan under Mor Polycorpus Geevarghese. 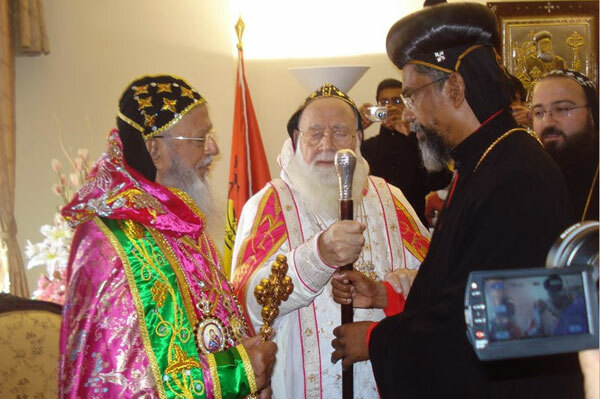 Since the formation of Mangalore diocese in 2011 as per the decision of the Malankara Synod, His Grace holds the full charge of the new diocese.